Your HVAC system goes beyond your heater or air conditioner. HVAC companies cover most issues concerning the comfort of your home. HVAC technicians are trained to repair all different types of systems. This SEER rating indicates how efficient your air conditioner is. The higher the SEER rating for your system, the more efficiently your system will work. A SEER rating is calculated by dividing the cooling output by the electricity input of your system. SEER ratings tend to be between 13 and 22, with anything more than 20 being a highly efficient system. Ductwork refers to the system of ducts used to transport air from HVAC equipment throughout your home. The purpose of ductwork is to evenly spread warm and cold air throughout your home — instead of heating or cooling just one or two rooms. Measures how clean your air is inside your home. Most people don’t give much thought to it, but poor IAQ can have significant health consequences. A certified professional can test your home’s IAQ and make suggestions for improving it. Russett Southwest Corp. is an industry leader in Indoor Air Quality. Our Healthier Home, Healthier program is designed with the needs of your home and you in mind. Russett Southwest Corp. has been proudly serving Southern Arizona since 1947. 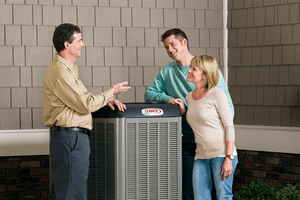 To learn more about your HVAC system, our services or to schedule your maintenance appointment call (520) 629-9676 or visit us at russettsouthwest.com.